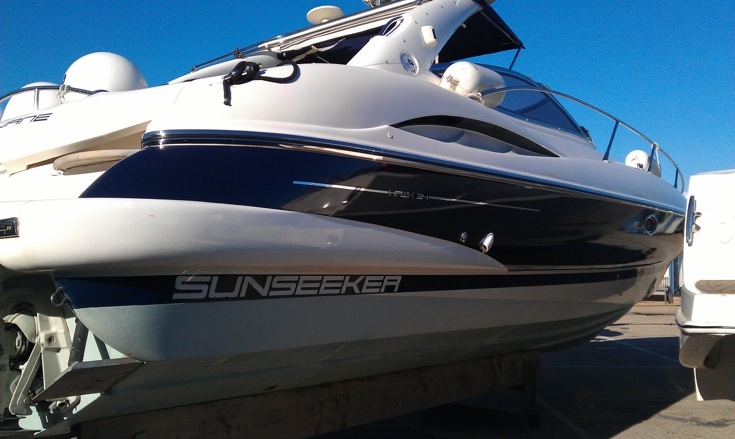 Sunseeker Hawk ‘Laura Jane’ vinyl finished to deliver owners Bond dream! 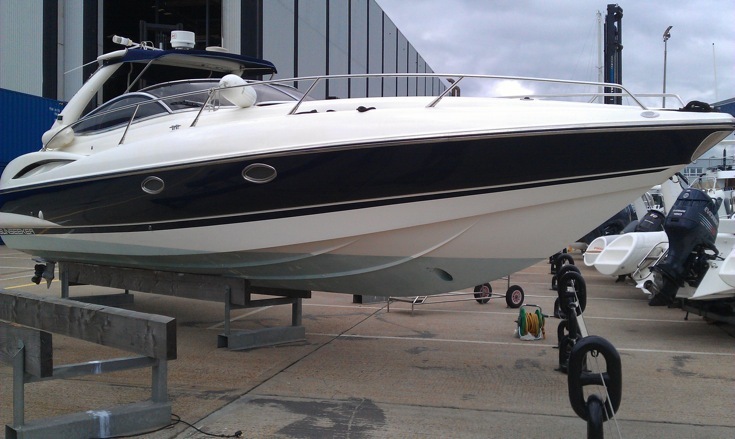 “I’m really pleased with the look, I saw a Sunseeker Hawk 34 about 7 years ago and promised myself I’d own one sooner or later, as the boat that features in several bond movies my life just didn’t feel complete without one! 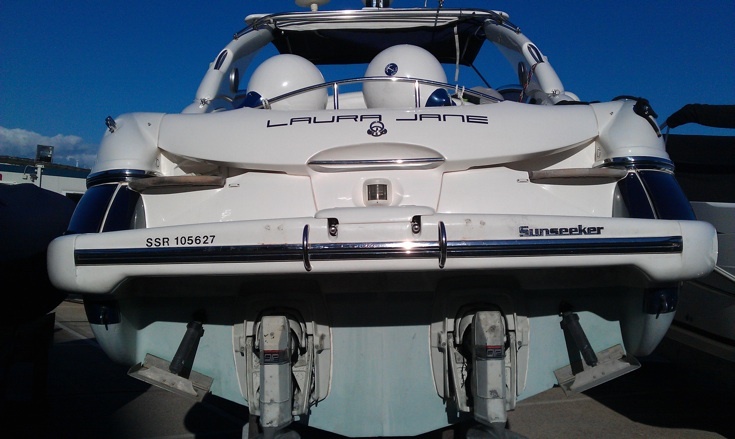 I found Laura Jane at a brokerage in July looking solid but a little unloved, she had spent several years being unused in a marina and was showing many signs of neglect. I pulled a team together and we set about transforming her into the dream. She has had all the latest nav equipment installed, a new Bluetooth streaming audio system, new teak in the cockpit and new carpet in the saloon, we also spent many thousands on mechanical repairs and upgrades and put a load of effort into cleaning the living daylights out of her! (pun intended). The finishing touch was always going to be the colour change on her hull, from bland white to bond blue. I looked at several options but the cheapest and fastest way for us to complete the transformation was a gloss navy wrap from the Wild Group.